I have a dream- not as grand as the one of Martin Luther King but still one that I hope promotes goodwill. 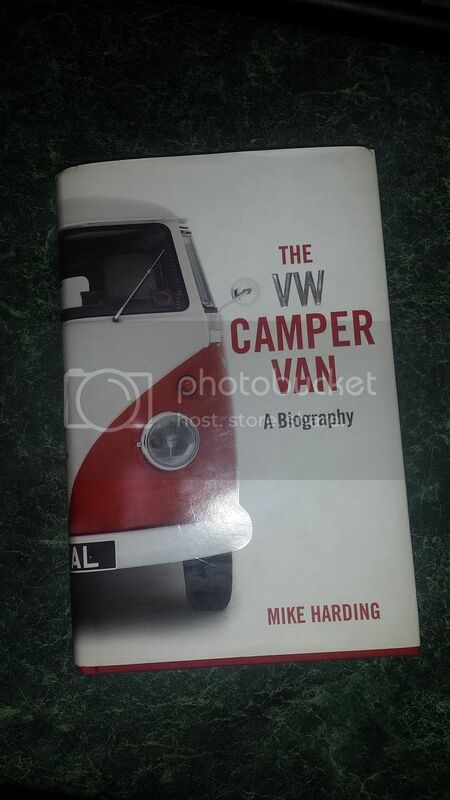 I received for xmas a nice little read " The VW Camper Van - A Biography"
It is lighthearted interesting also also packed with Kombifacts. ok, first in first served, who wants it first? Ill put my hand up for a read and pass on. It it one of the thing you write in the cover name and read date to get a good list going. What a lovely idea, can I be next after you Brad please? peter drogi and 68BUS like this. Ok Brad , you the man. Cool doing now. Then Lorraine, you will be next. Cool idea. You're next. I think we should all pay the postage to forward it on and keep it going. Let's see how far it will go. I think everyone who receives it should print their forum name and location inside the book or on a bit of paper that circulates with it. good idea Lorraine, that was my idea too, just pay it forward. To protect it as much as possible & if not thought of a padded post bag or bubble wrapped would be a good idea. kombiwomble to KahunaKombi. The book would have travelled several thousand kilometres by then. I wish I could just deliver it by Kombi, what a trip that would be. Good idea Bert but a few dog ears, a dirty finger mark here and there all add to the fascination of the journey. Only kidding. I've seen this done with a camera loaded with a roll of film. Anyway you can send it on to me Grant. I was looking at purchasing but never got around to it. Besides no room on the bookshelf! Lorraine, yeah there will be those general usage marks just hope someone doesn't turn it on it's back and break it's back if you get what I mean. Can I be next after you Leo? You can save on postage too.